There’s always been something about the desert oasis of Palm Springs that has brought a spell of excitement out of me. Growing up in San Diego only a few hours away, Palm Springs served as a destination to escape to for pool time and warm temperatures. The kinder years turned into high school when we would vacation in Palm Springs at friend’s timeshares, and from there into college years when attending Stagecoach Music Festival was a yearly tradition. 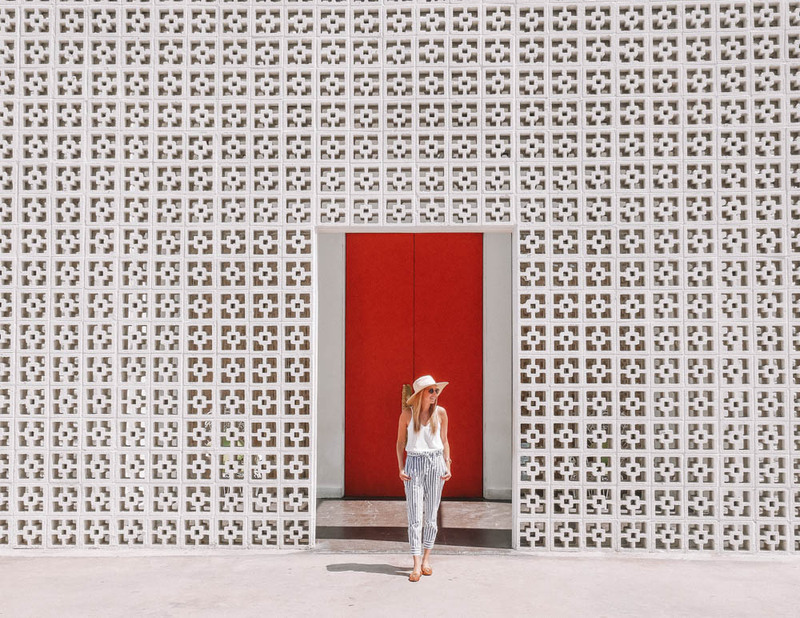 Through it all, it has been enjoyable to watch Palm Springs grow yet preserve the retro, mid-century modern style that gives the destination so much character. There’s a reason why Palm Springs was and still is a weekend escape for the Hollywood elite. 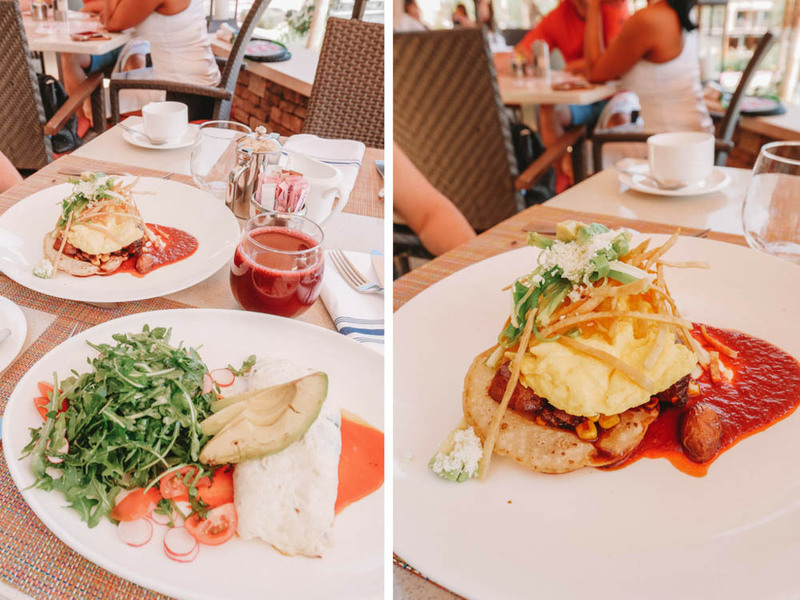 This past June (yes, June – some may call us crazy), my mother and I went to Palm Springs for a quick trip to explore the area in terms of hotels and restaurants. 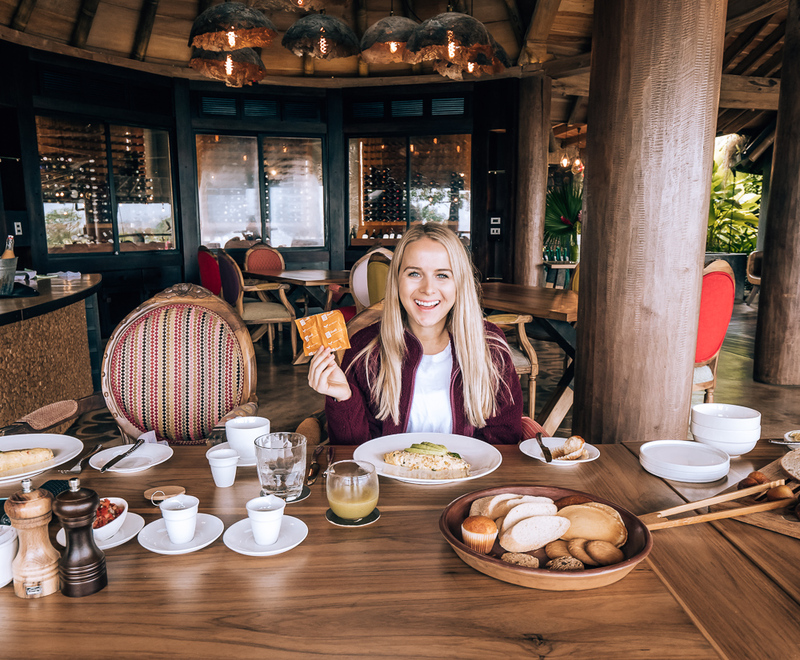 I was surprised how many new restaurants and hotels had either opened or were in the process of being built! 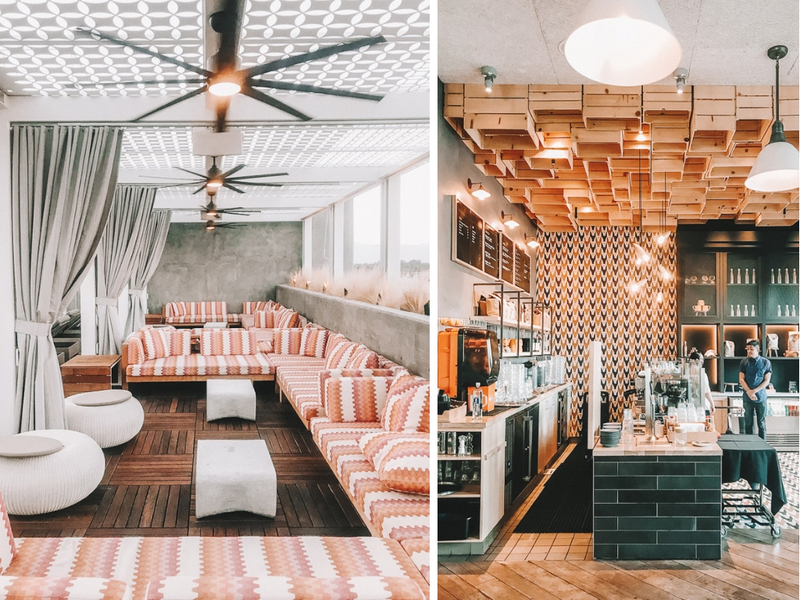 While I anticipate this being updated over time with more trips to Palm Springs in our future, check out my Palm Springs Destination Guide here! 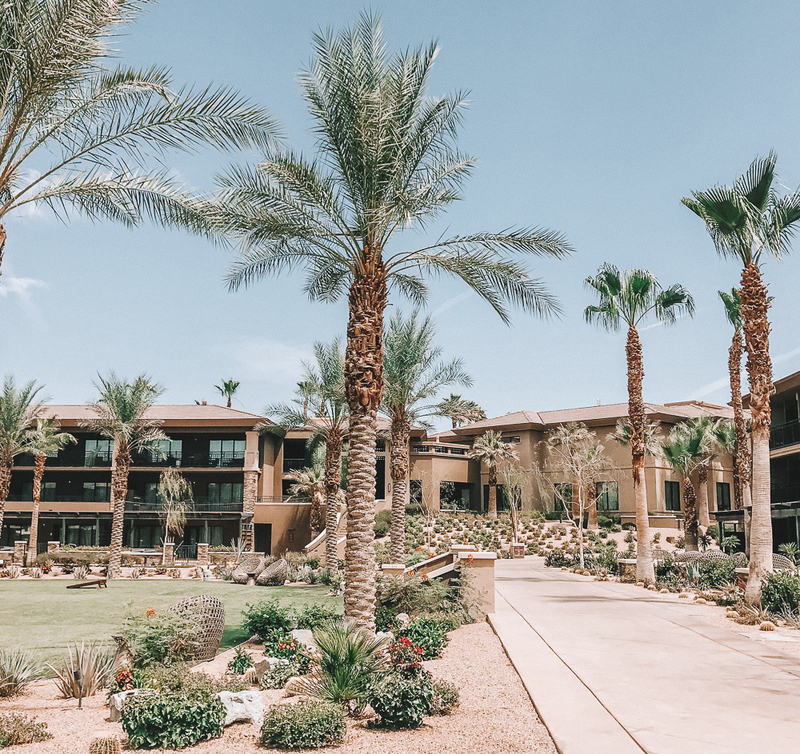 If your idea of the perfect Palm Springs weekend is to be pampered while basking in amazing pools with views of the Coachella Valley, then the Ritz-Carlton Rancho Mirage is the perfect choice. This luxury resort is about a 15 minute drive from downtown Palm Springs and nestled at the base of the San Jacinto mountains. Our perfect day here consisted of a morning desert hike (literally right out our front door), relaxing pool time, and then a quick drive into Palm Springs for dinner. It was the perfect balance of a secluded desert oasis and downtown night life. 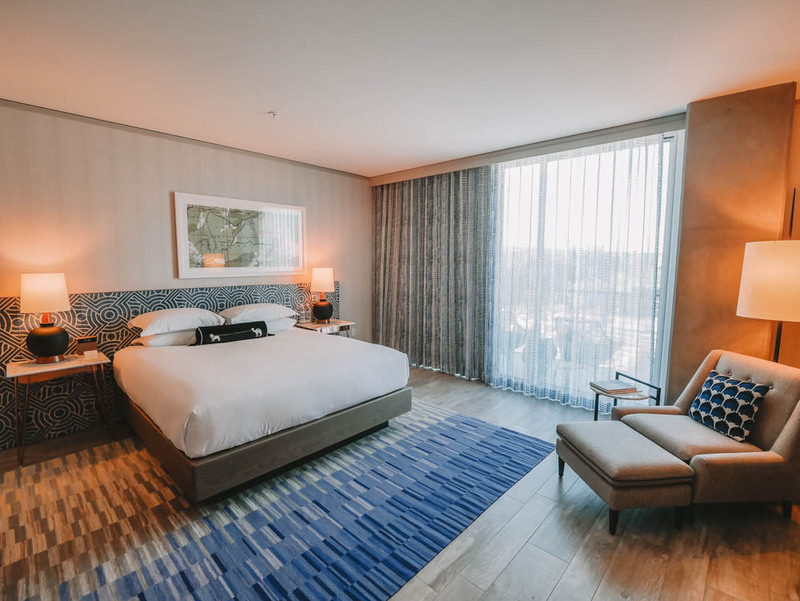 Large, spacious rooms with high-end décor and amenities such as Nespresso machine, plush bathrobes, and large patios or balconies. The famous Ritz Carlton complimentary candy snack bar. Luxurious adults only pool with sweeping views of the valley. Large main pool open to kids. Free activities include guided morning and sunset hikes, nature walks, seasonal stargazing, lawn games, mountain bike rentals, and evening yoga. 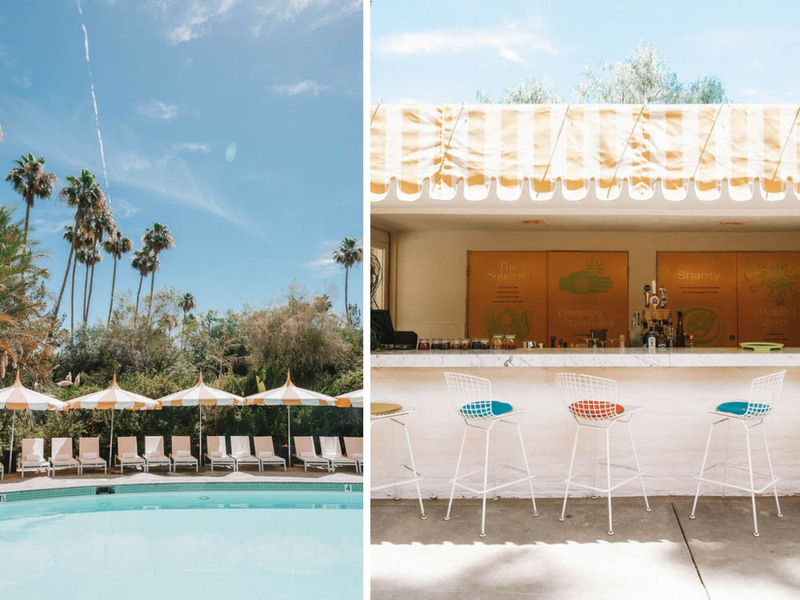 If you’re looking for the quintessential Palm Springs vibe with historical significance, Parker Palm Springs is a great choice. This hotel was originally built as a Holiday Inn in the 1950’s and then purchased by Gene Autry. It’s been owned by several celebrities since then, including Hubert du Givency and Merv Griffin. It was known as a hot spot for celebrities and Jonathan Adler (well-known designer) had this in mind when he redesigned the hotel in 2016. It still retains that hip, trendy Palm Springs look that is so unique to this area. For a splurge, you can rent the two-bedroom, two-bathroom Gene Autry Residence – a gated home (complete with full kitchen). 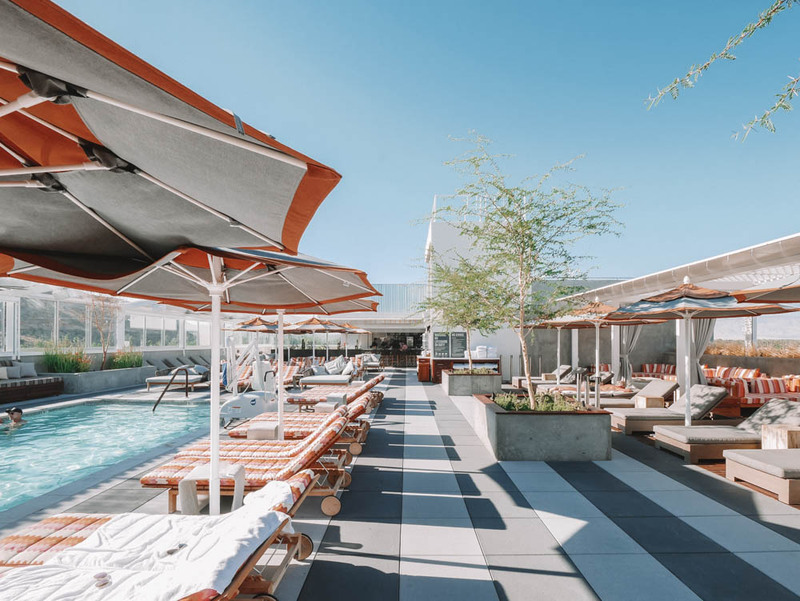 Right in the middle of downtown Palm Springs is the Kimpton Rowan. While its location is in the center of all the action, once you walk into this upscale hotel, you can feel the stress melt away. There are 153 roomy guestrooms and suites and the décor has a soothing, tranquil feel. 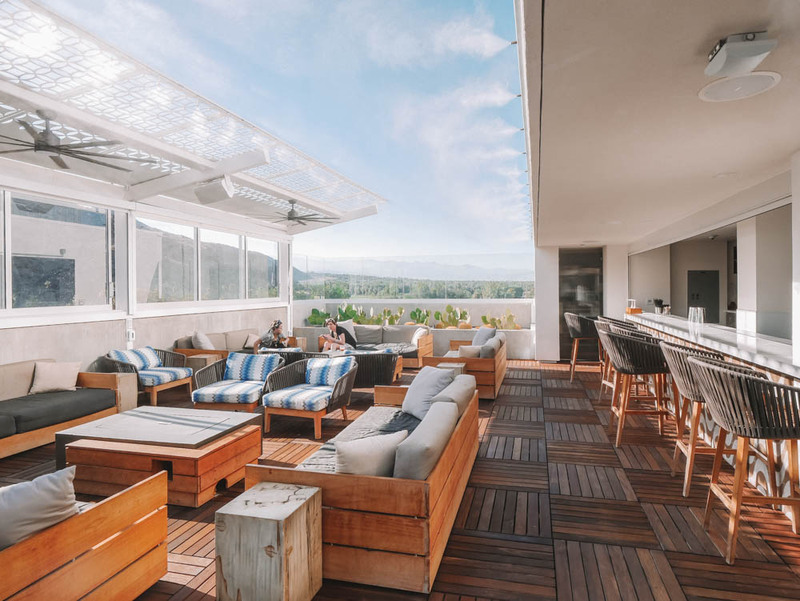 The highlight of this hotel is the rooftop pool and bar, a perfect place to relax and enjoy a craft cocktail before hitting the downtown night scene. 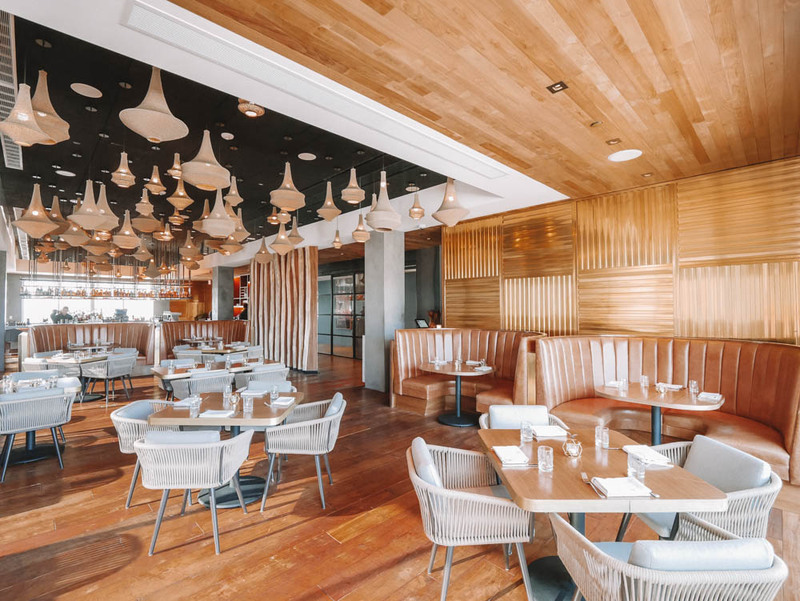 The 4 Saints roof-top restaurant features my favorite type of cuisine – shareable small plates featuring seasonal, local ingredients. 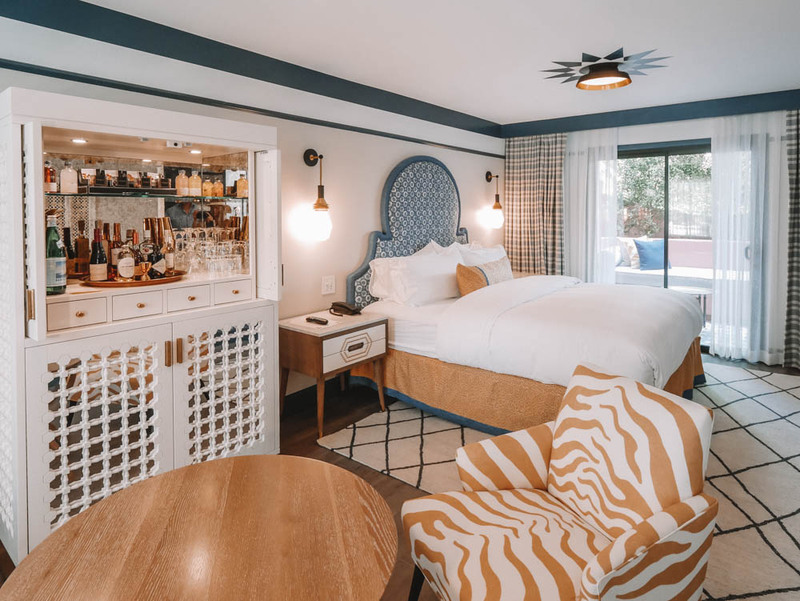 The Kimpton Rowan Palm Springs was listed as one of the best new hotels in the world for 2018 by Conde Nast Traveler and it’s well deserved. I’m always looking for the little extras that make me feel special and appreciated. 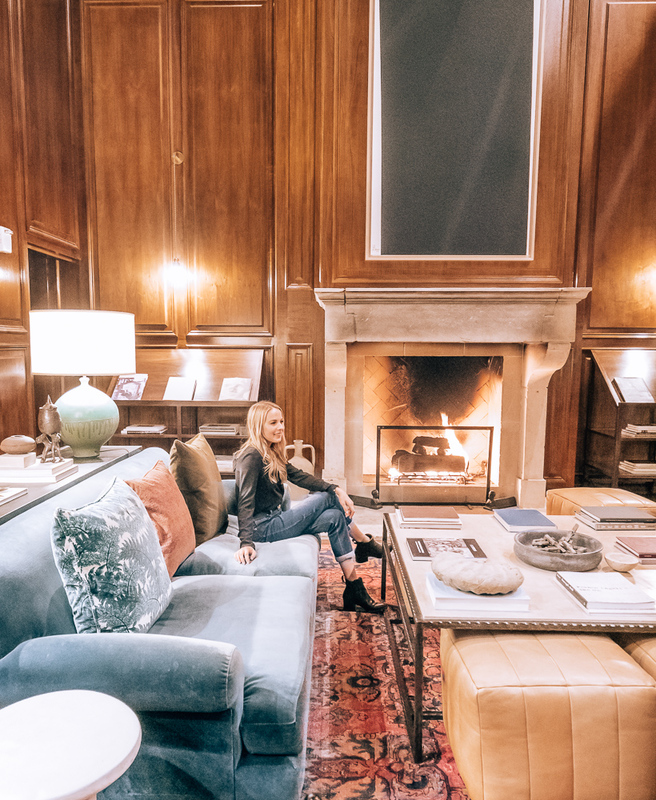 The Kimpton offers a lot of complimentary amenities, especially for IHG Rewards Club Members. 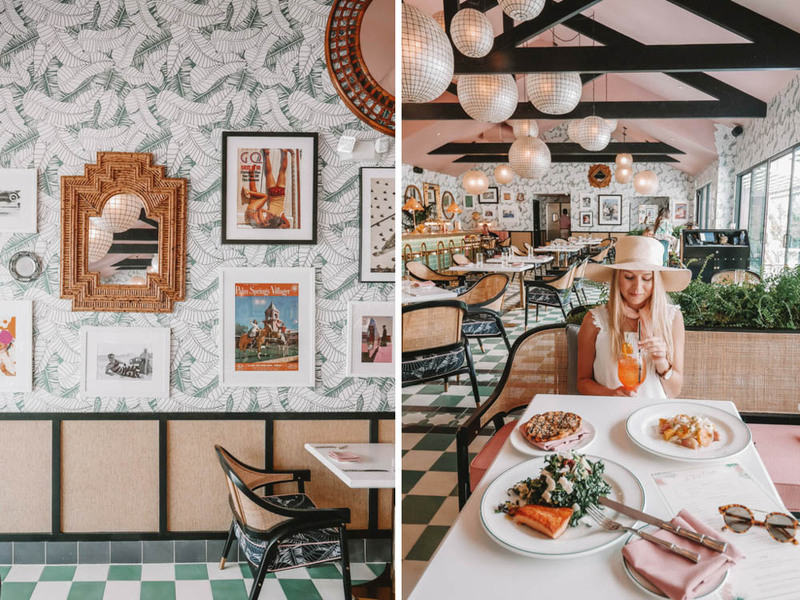 The Sands Hotel and Spa was recently reopened (and completely renovated) to be the first designer boutique up-scale hotel in Indian Wells. 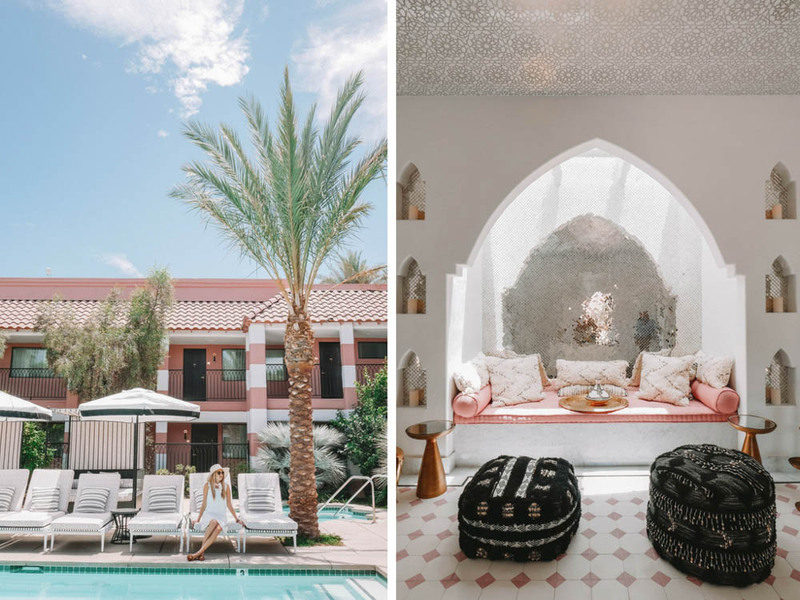 Imagine Vintage Palm Springs meets Morocco – designer Martyn Lawrence Bullard expertly combined these two unique looks, giving it a cool, modern vibe. Each guest room is uniquely designed with different color combinations and décor. I fell in love with the full-size mini bar, a focal point featuring vintage crystal stemware and upscale drink offerings. Most rooms feature private patios or balconies. All 46 rooms face the large outdoor pool, giving it that hip Palm Springs feel of the 50’s and 60’s. 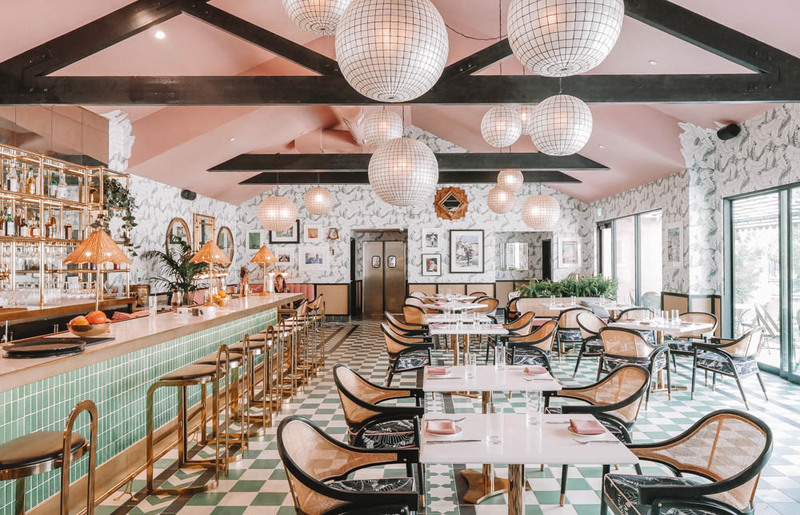 4 Saints: 4 Saints is located at the Kimpton in downtown Palm Springs and is the only rooftop restaurant in the Coachella Valley. 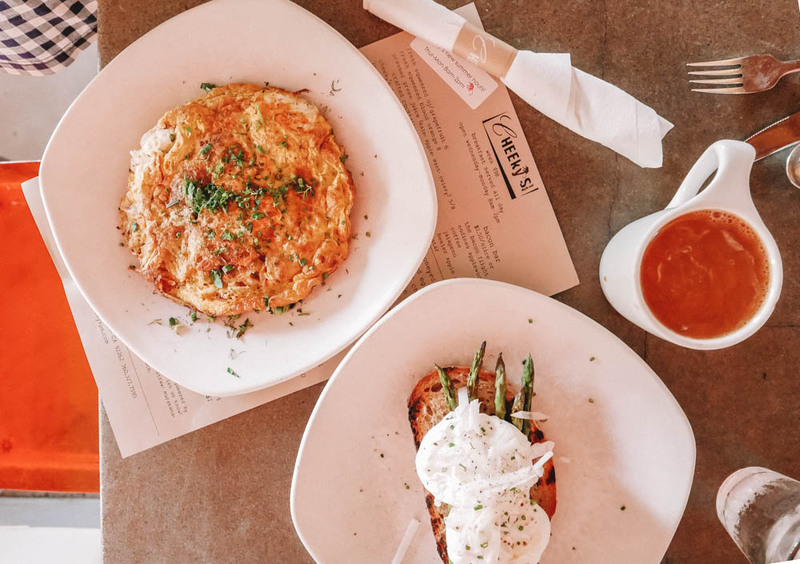 Not only does this restaurant have amazing views of the San Jacinto mountains, but also offers my favorite type of cuisine – shareable plates of fresh, seasonal local ingredients. Our dinner of halibut en croute, scallops, and sides of fresh vegetables were perfect for the hot, desert heat. Bootlegger Tiki Bar: The Bootlegger Tiki Bar is located in the same space as the Don The Beachcomber restaurant that was so popular in the 50’s. Picture Dean Martin and Frank Sinatra enjoying a tiki rum cocktail and you get the idea. 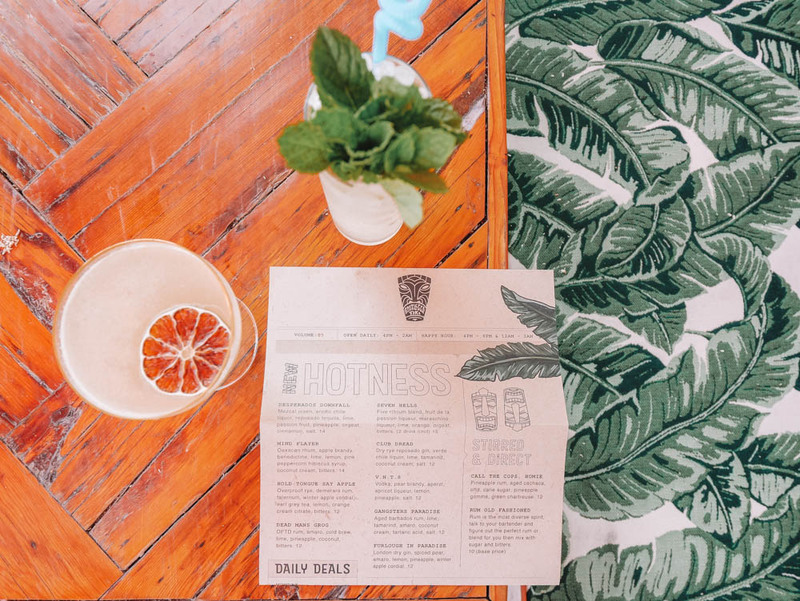 This is a fun, quirky bar that offers craft cocktails in an old-fashioned Polynesian style setting, complete with tiki torches. Cheeky’s: o After hearing so much about Cheeky’s, we had to check it out and it did not disappoint! I recommend going on a weekday, after the morning rush. We arrived around 10:00 am and only had a few minute wait. Weekends can be tough and waits can easily be over an hour. Their menu is constantly changing so you can always find something new to try. You can’t visit this restaurant without trying the popular bacon flight with different types of bacon – a fun, unique offering. Jake’s: We stopped in here for dinner during restaurant week, so we got a sampling of some of their favorite dishes. I loved the buzzing outdoor patio – a place I could easily spend hours with a bottle of wine. Pink Cabana: Pink Cabana is located at Sands Hotel & Spa so technically in Indian Wells, but it is worth the trip. It features Mediterranean/Moroccan-inspired cuisine and as with the hotel, you can see the Moroccan influence in the food and décor. I felt like I was in a 50’s Moroccan diner. 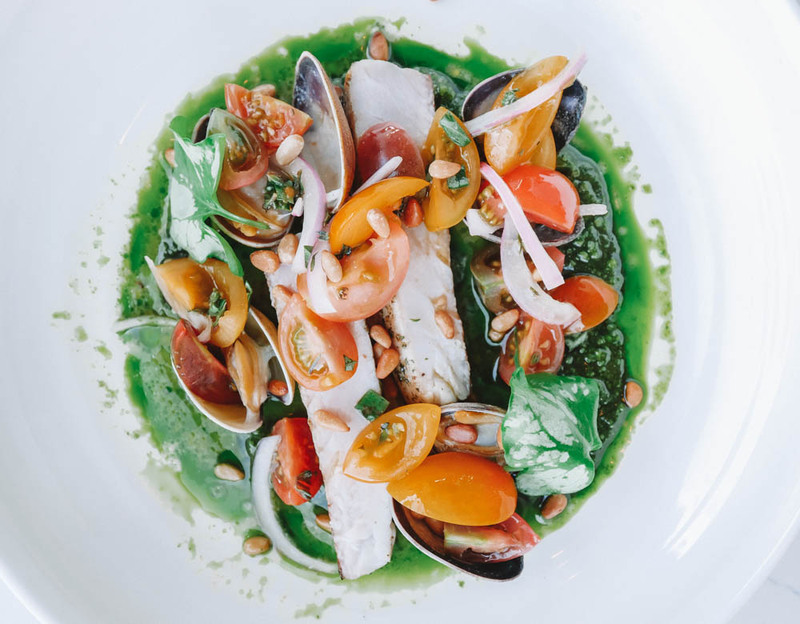 Fresh, local ingredients are abundant in this area and it’s easy to see why Chef Jason Niederkorn has received world renowned accolades from Condé Nast Traveler, LA Times and Forbes, just to name a few. As you state next time you must try Counter Reformation & Workshop – both are awesome! !